Travel back to the early days of sea travel in a way that the great explorers once roamed the world on the 5,000-ton Royal Clipper, one of a few sailing ships left in the world. Inspired by the legendary Preussen, a voyage on Royal Clipper is not an experience to be missed. Enjoy the quiet serenity of a vessel shuttled across the water simply powered by the wind. Royal Clipper provides the ultimate practice of old world romanticism that should define luxury travel. Despite being a simple sailing vessel, there are no shortages of modern amenities and luxuries aboard the 227-guest Royal Clipper. All staterooms and suites come equipped with a TV, DVD player, a satellite phone, safe, marbled bathroom with shower and hair dryer. Suites include a sitting area, mini bar, room service and whirlpool. When you’re not soaking up the privacy of your room, you’re free to relax deck-side in one of the onboard saltwater pools, enjoy the free watersports marina for a more exhilarating type of activity, or kick back and have a drink at the fully outfitted Piano Bar. With 19,000-sq. 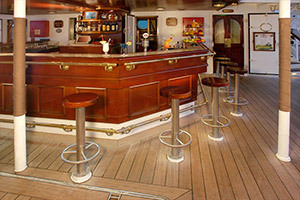 feet of open deck, the possibilities aboard Royal Clipper are endless. 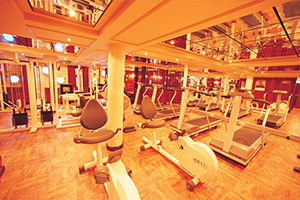 Activities are not the only extent of the luxury found onboard Royal Clipper. Boasting a full-service kitchen with an expertly trained cooking staff, meals aboard Royal Clipper will never cease to impress. From a full breakfast including fresh tropical foots, various meats, and freshly baked pastries to a full lunch buffet of succulent seafood, garden-fresh salads, and grilled favorites all the way to a 5-star dinner, your taste buds will be guaranteed to leave Royal Clipper fully satisfied. Your dream vacation is just one click or call away. Don’t miss out on the exclusive savings and limited-time deals you’ll get by booking with us. Contact us now to start instantly saving on your next voyage aboard Royal Clipper. 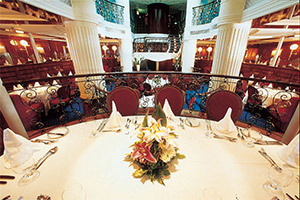 Royal Clipper serves up some of the best international cuisine in the cruising industry. Dining is in an open-seating format on Royal Clipper, so you are free to dine whenever and with whomever you wish, including Royal Clipper's officers, who join guests in the dining room most nights. If the day includes a stop at one of the paradisaical islands that Royal Clipper frequents, you might also be treated to a succulent outdoor shoreside barbecue. A windsurfer traces a zig-zag wake over dancing wave tops. A snorkeler floats over a garden blooming with purple and rose coral. A diver plays tag with a school of clown fish darting in and out of an underwater wreck. On Royal Clipper, the day proceeds at your own pace, whatever that may be. If it’s a relaxation day, treat yourself to skin-glowing facial or a stress-relieving massage in the beautiful Captain Nemo Lounge, with portholes that offer you a mesmerizing underwater view. If it's a beach day, you can swim, windsurf, water-ski, sail a Sunfish©, ride a banana boat or explore in a Zodiac©. Royal Clipper's sports staff will be happy to offer assistance, should you require it. Royal Clipper will take you to remote reefs, underwater wrecks and blue lagoons where marine species are in abundance. You can be confident that your environmentally-friendly sailing ship will leave the world's pristine places as clean and unpolluted as when it arrived. Whether you elect to glide among the emerald-clad jewels of the Caribbean, enjoy the incomparable adventure of an epic ocean crossing, be beguiled by the ancient, sun-warmed ports of the Mediterranean or be intrigued by the mysteries of the Far East and Central America, each and every voyage aboard Royal Clipper will be a little bit different from the one before and/or after. 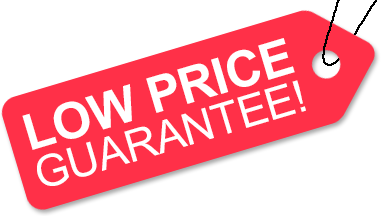 Low Price Guarantee on all Royal Clipper Cruises! Book any Royal Clipper cruise with us and you'll get the best deal possible, regardless of the ship or sail date! Because of our "Low Price Guarantee," nobody beats our Royal Clipper cruise prices, so look around and you're sure to find the best Royal Clipper cruise deal possible when booking with us! Book a Star Clippers cruise with us and get a Gift Card for the store of your choice. 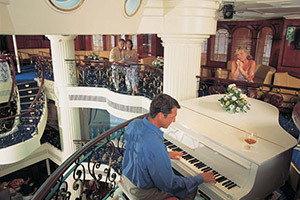 The value of the Gift Card depends on the particular cruise and accommodations you book. Gift Card values are listed on Step 3 of the online booking process. We do not charge booking fees on any cruises! You're sure to enjoy an affordable Royal Clipper cruise when booking with us! Our special offers on Royal Clipper cruises may not be combinable. Certain restrictions apply to each offer. Click a price below to view the Royal Clipper cruises during that month in that destination. Royal Clipper's accommodations are thoughtfully designed, air conditioned and equipped with a flatscreen tv, DVD, radio, hair dryers, phones, safe, closets and under bed storage, private bathrooms and toiletries. Royal Clipper's electrical output is 220 volts. Deluxe outside suite, private verandah, twin/double beds, sitting area, minibar, marble bathroom with whirlpool and room service. Royal Clipper's accommodations are thoughtfully designed, air conditioned and equipped with a flatscreen tv, DVD, radio, hair dryers, phones, safe, closets and under bed storage, private bathrooms and toiletries. Royal Clipper's electrical output is 220 volts. 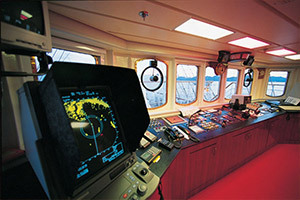 Deluxe Deck Cabin, double beds, mini bar, marble bathroom with whirlpool, cabin doors open onto deck. Royal Clipper's accommodations are thoughtfully designed, air conditioned and equipped with a flatscreen tv, DVD, radio, hair dryers, phones, safe, closets and under bed storage, private bathrooms and toiletries. Royal Clipper's electrical output is 220 volts. Outside cabin, twin/double/triple beds, marble bathroom with shower. Royal Clipper's accommodations are thoughtfully designed, air conditioned and equipped with a flatscreen tv, DVD, radio, hair dryers, phones, safe, closets and under bed storage, private bathrooms and toiletries. Royal Clipper's electrical output is 220 volts. Inside cabin, double/triple beds, marble bathroom with shower. The deck plans of Royal Clipper provided on this page are subject to change. We reserve the right to correct errors. Please verify all information with Viking River Cruises directly.